The sparsely populated Gran Chaco plain in South America is home to a dry forest of thorny trees, shrubs, and grasses. The second largest forest in Latin America—behind only the Amazon rainforest—stretches across parts of Paraguay, Argentina, and Bolivia and supports thousands of plant types and hundreds of species of birds, mammals, and reptiles. However, the region also has one of the highest rates of deforestation in the world. 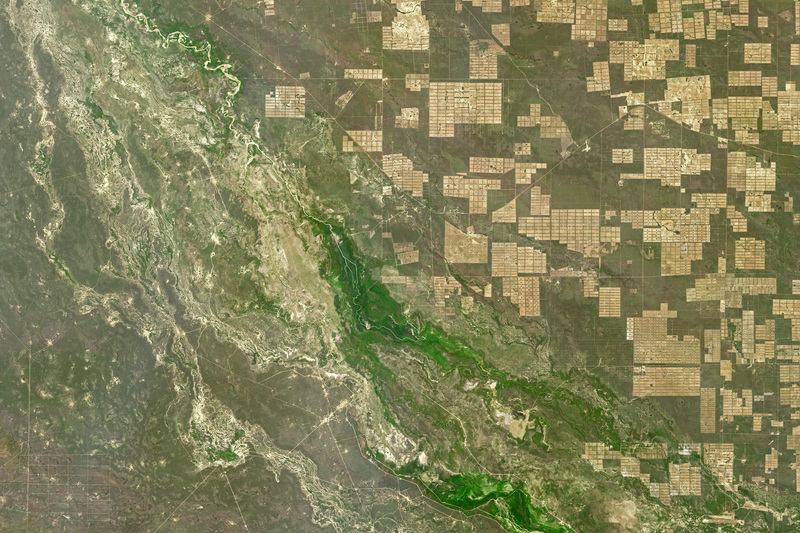 Observations by Landsat satellites indicate that roughly 20 percent—142,000 square kilometers (55,000 square miles)—of Gran Chaco’s forest has been converted into farmland or grazing land since 1985. 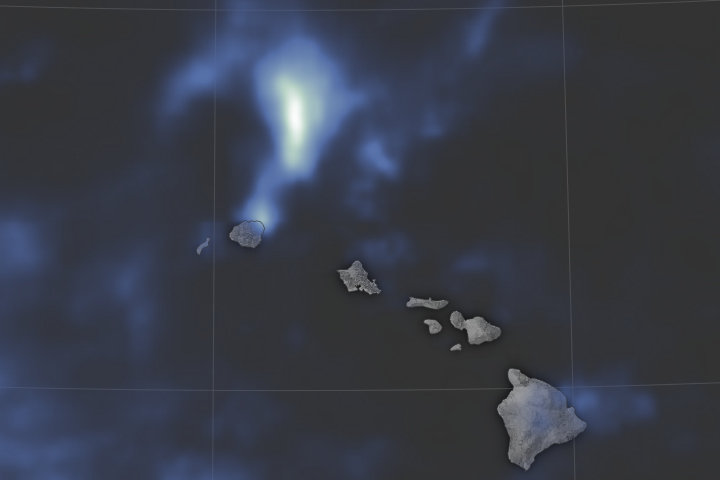 That’s an area roughly the size of New York state. 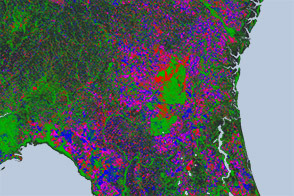 Deforestation has been particularly widespread in Paraguay in recent years. Between 1987 and 2012, the forests in Paraguay lost nearly 44,000 square kilometers (17,000 square miles), mainly because of the expansion of cattle farms in the western part of the country. The Operational Land Imager (OLI) on Landsat 8 captured this natural-color image of pastures in Boquerón on August 14, 2016. The image is centered just east of the Pilcomayo River near Tezén. 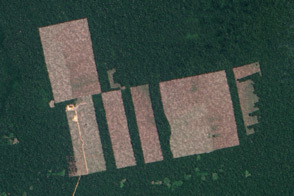 Unlike the “fishbone” pattern of deforestation in the Amazon, deforestation in the Gran Chaco tends to leave large rectangular clearings that reflect careful surveying by large-scale cattle-ranching operations. 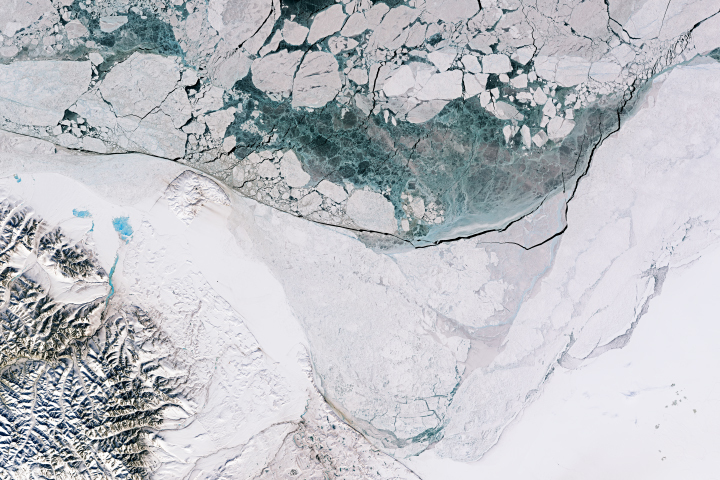 NASA Earth Observatory image by Michael Taylor, using Landsat data from the U.S. Geological Survey. Story by Adam Voiland. 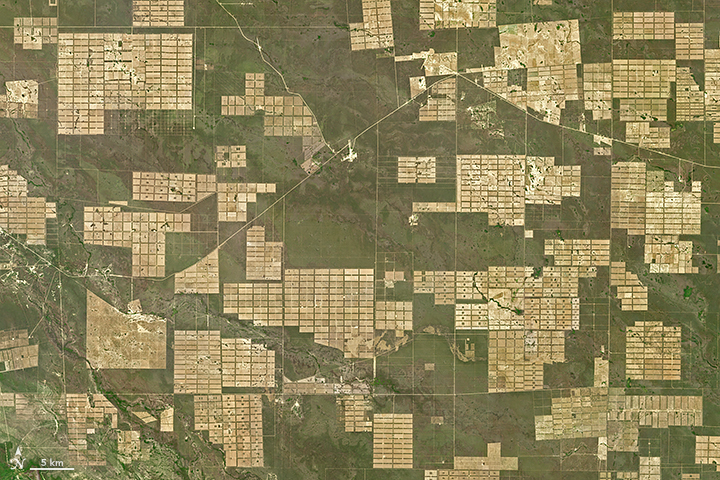 Roughly 20 percent of Gran Chaco’s forest has been converted into farmland or grazing land since 1985. Baumann, M. et al. (2017) Deforestation and cattle expansion in the Paraguayan Chaco 1987–2012. Regional Environmental Change, 17, 1179. Baumann, M. et al. (2017) Carbon emissions from agricultural expansion and intensification in the Chaco. Global Change Biology, 23, (5), 1902-1916. Rolling Stone (2014, July 28) Green Going Gone: The Tragic Deforestation of the Chaco. Accessed April 19, 2018. United States Agency for International Development (2017) Land rights, beef commodity chains, and deforestation dynamics in the Paraguayan Chaco. Accessed April 19, 2018. Vallejos, M. et al. (2015) Transformation dynamics of the natural cover in the Dry Chaco ecoregion: A plot level geo-database from 1976 to 2012. Journal of Arid Environments, 123, 3-11. 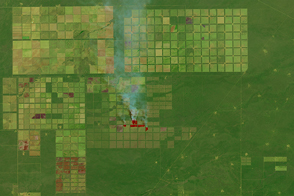 World Resources Institute (2017, November 1) Closing Data Gaps to Eliminate Deforestation and Land Disputes from Beef Supply Chains in Paraguay. Accessed April 19, 2018.